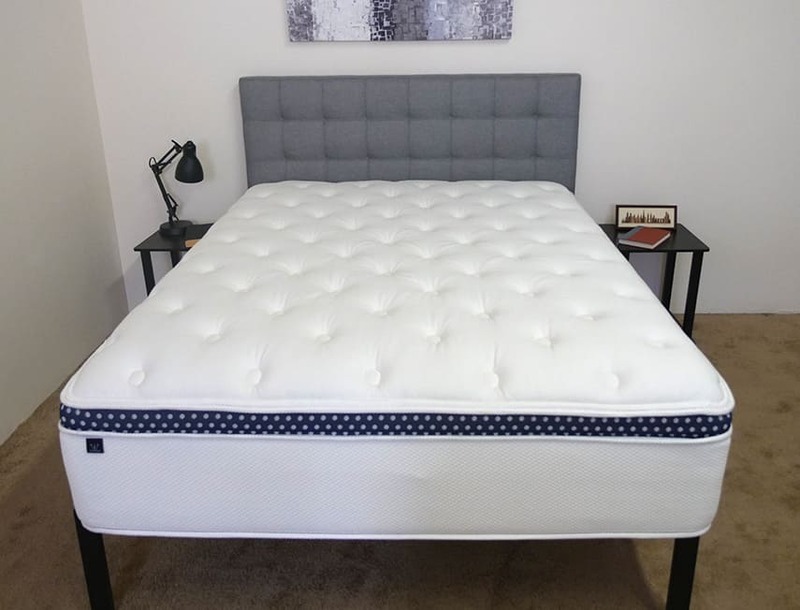 Home » 25 Days of Giving: WinkBeds Mattress Giveaway! Day 7 and we’re officially in giveaway heaven! Our 25 Days of Giving spectacular is going strong with contests from some of the biggest names in the bedding industry, and we’re ready to add yet another fantastic brand to this lustrous pile with a new giveaway from WinkBeds! 25 Days of Giving: WinkBeds Giveaway! WinkBeds produces a variety of hybrid mattresses at different firmness levels that offer a ton of support to a wide range of sleepers. The brand also boasts a special WinkBeds+ model, which was designed specifically with heavier individuals in mind. I really can’t decide which mattress is my favorite. Every time I read a new review I change my mind. I love them all! Casper would be nice! After going back and looking at the reviews again, I would have to say that the ZenHaven mattress is my favorite. I really need this in my life.It would be great to finally get a good nights sleep.Thank you for the chance. I would probably say the wink mattress would be my favorite so far. Would love to win this bed – looks like the best one out there! Keeping my fingers crossed! Thanks for the oppurtunity! It looks so comfortable, I would love to win and sleep on it. I would be asleep in the ‘wink’ of an eye!!! Never seen a mattress for plus size people. What a great idea! The different layers of support coils makes this an ideal mattress!! The Purple Mattress is my favorite for sure..
Zenhaven is still my favorite! I’ve been researching beds for at least 2 years. I’m really impressed with Wink! Thank you guys for all of your hard work that goes into these reviews of mattresses. I really like many of the mattresses you have reviewed, especially the Purple, the Wink, the Casper….not certain I could choose just one as a favorite. :-) Thank you. Several good options and thank you for the wonderful job. Wink soft, tempur, purple, loom n leaf and few others very appealing. I’d love to win this mattress so much. This is such a cool giveaway- 25 mattresses! The Zenhaven looks best for us. a wink bed could maybe help us catch a few winks? id love one! Been wanting this bed forever. Sadly am poor so here I am hoping for a Christmas miracle. This mattress gets amazing reviews! They’re all absolutely amazing and I can’t pick just one. I say this every time but to win this would not only be a dream come true but it would be a huge blessing. Thank you for the opportunity and Happy Holidays. This wink mattress looks so comfortable.I wake up as tired as I went to bed.Maybe I need a new one.I sleep on my side mostly. I would take any of the mattresses. I sleep on a hard wood floor and it hurts my back. I hope I win! I like the Purple so far. Thanks! Would love to win this! Thank you for the opportunity and good luck to everyone! This would be an awesome Christmas gift for my boyfriend! Ghost Bed and Purple are my favorites. I’d love one of these for my guest bedroom, thanks for the opportunity! I’m trying to decide between the DreamCloud and the WinkBed. Wink beds are so well made. I really hope I win one. Have one in our guest room. Desperately want one for our king size bedroom now. This one looks super comfortable! Solid and looks comfy for most positions. They all just look so very comfy. Would love to wake up on a mattress as nice as this! Hard to pick one. I love the Nectar due to the feel. I would love to win this mattress. Casper Wave,Helix,Purple,Layla and Nest Alexander Hybrid are my favorites because I am a side sleeper.I always have pressure,pain in back and shoulder/hip pain on the mattress I have now. DreamCloud sounds great, but they all are wonderful I am sure. I sure could use this Sleepopolis Mattress which is a quality mattress. I would love to try any of these mattresses you’ve reviewed. They all have to be better then I’ve got now. I’m a side sleeper and have arthritis in my back, hips, and knees. It’s hard getting a good night’s sleep. I’m tossing and turning all night long. The Ghost Bed. Almost bought one on Cyber Monday but it wasn’t quite in the budget. Will spring for one soon though! Looking for a great new bed that’s really comfortable. Have a bad back, yet to find one. I think that I would like the winks mattress. But I would love anyone of them. Could really use a new mattress. I would love to win this bad for my daughter. I have a necter right now. I like it it’s good, I just got it still in the testing . Hope to win!! These mattresses all look so comfy. Nectar. I wish I win this for Christmas! Fingers crossed hoping to win a new mattress. So far every review has been my face like todays Wink and the other day Casper. The Hybrid one sounds amazing as do all of them really. You go into great detail with pressure points on all of them and that is such wonderful info to know. I am a side sleeper, so I would have to say my favorite latex mattress is the Zenhaven!! You leave great descriptions/reviews of your mattresses, making it easier to choose!! I think Zenhaven would suit me best. I can’t wait to try one of these mattresses!! I like that the WinkBed is one of the new hybrid designs that has the comfort of a foam mattress, while also having the support of a coil mattress…sounds good for me being a side sleeper. I liked Zenhaven, but there are so many good ones to pick from. Merry Christmas & Happy New Year Sleepopolis!!! Your constant generosity has become an admirable part of your reputation. Good Luck Everyone. The Wink bed mattress is definitely a good sounding option for someone like myself used to a traditional bed. The biggest issue is finding one soft enough as a side sleeper yet still providing proper spine support. I am really liking the Winkbed based off of your review: Summary is a 4.9 out of 5?! Winning would be the best thing that happened all year!! Thank you for this opportunity!! Would love to win this great bed! Wink Beds edge control feature is good to know. I want this one!!! love it!! I like the firmness options. I think the Zenhaven is the best mattress for me. I’m a side sleeper and the Zenhaven seems to be the best all around fit. Thank you !! Would love to slumber on that bed! Love the wink bed mattress too. Coils are my thing as I want to be on top not in the mattress. My son, Cody, so needs a new twin-size mattress. This one would be awesome! I would have to say the Casper. The Ghost bed is my favorite review. Oh man! This looks comfortable. I don’t think I can wait. I might have to get one now! I would love to win any of these mattress but but the avocado mattress looks awesome latex mattress. The Wink mattress is so cute! I love the navy polka-dot strip! The Ghostbed sounds amazing and so does this one from WinkBeds. I need to win to get a mattress that will alleviate my back pain. I love the sounds of Zenhaven and Latex for Less mattresses. This is such an awesome giveaway!! Thank you! Your mattress looks extremely comfy! Would love to be a winner to try it out! We have t had a new mattress in such a long time! Another great mattress! I would love to win!! My back is saying help! Thank you for the opportunity! Zenhaven is my favorite latex mattress that you’ve reviewed because I’ve always been a side sleeper! After reading the reviews I like the Purple or Bear. Although this one sounds pretty good! This would be a much needed amazing gift!!! I really would love to try the Wink mattress. Looks like it could be the mattress I’ve been searching for. Has all the elements I’ve been looking for in a mattress. Could definitely use a new mattress! Thanks for the chance! Wink Bed would be my 1st choice for sure!! I am really interested in the Zenhaven and the Spindle.